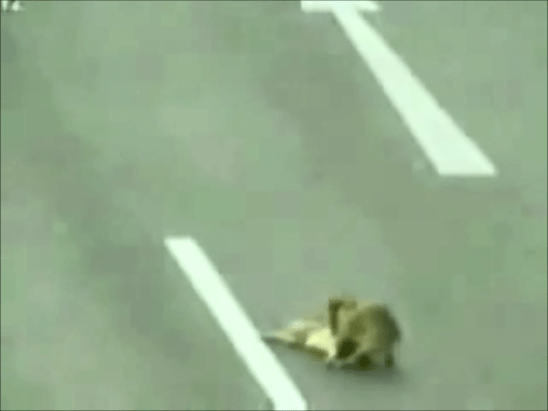 A dog became a hero in Chile when he was caught on surveillance camera dragging another dog to safety across a busy highway. The apparently homeless dog pulled the body of another, injured dog through busy traffic to the relative safety of a freeway median strip. The injured dog, which had been hit by vehicles, sadly died. Despite a large search the heroic dog of this brave act was never found.